Discover a rich slice of American history in the suburbs of modern St. Louis. 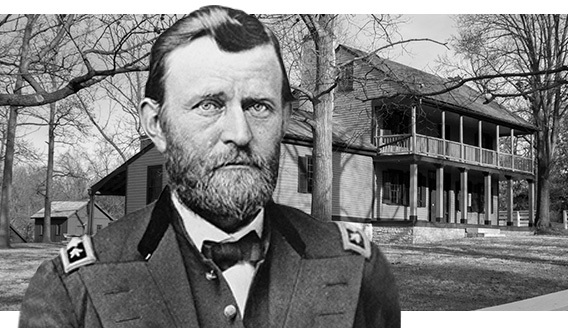 Ulysses S. Grant National Historic Site is the home of victorious Civil War general and 18th president U.S. Grant and his beloved wife, Julia Dent. Grant first met Julia here at White Haven, her family home, where they resided with an enslaved African-American workforce from 1854 to 1859. Visit year-round to tour the restored home and outbuildings, stroll the peaceful grounds, and learn more about the 19th century residents of White Haven. From Civil War hero to civil rights champion, two-term president to best-selling author, Ulysses S. Grant lived a life of service. Born Hiram Ulysses Grant in 1822, the “S” was not part of his given name. But a mistake in his application to West Point changed that, and he became forever known as Ulysses S. Grant. Over the years, the initials U.S. earned him such prophetic nicknames as United States, Uncle Sam, and Unconditional Surrender. Grant first came to Missouri in 1843 when he was assigned to the 4th Infantry at Jefferson Barracks, south of St. Louis. Invited by his former roommate, Frederick Dent, to visit his family’s farm, White Haven, Grant soon became enamored with Dent’s sister, Julia. After serving with distinction in the Mexican-American War, Grant returned to White Haven to marry Julia. He served six more years in the Army before leaving to be closer to his growing family. For almost six years he worked on his father-in-law’s farm at White Haven. He later said he would have been content to live out his days as “an old Missouri farmer,” but national events altered his plans. When the Civil War broke out in 1861, Grant’s sense of duty called him back into military service where he proved to be a brilliant battlefield strategist. In March 1864, President Abraham Lincoln appointed him Commanding General of the U.S. Army and, in just over a year, Union forces secured the surrender of the Confederate army. Throughout their lives together, White Haven proved to be a focal point for Ulysses and Julia. Although financial and political circumstances took them away for over a decade, they still considered it their family home. Grant looked forward to a relaxing retirement at White Haven following his second term as president. Family interests and failed business deals lead him to relinquish the property shortly before his death in 1885. 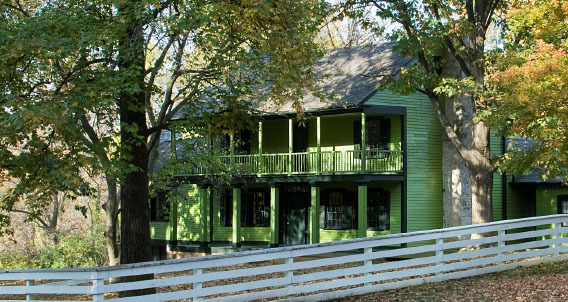 Although Grant was unable to enjoy retirement at White Haven, you can enjoy the peace, beauty, and rich history of this Missouri site year round. Walk through Ulysses and Julia’s restored home, outbuildings, and stable. Explore the museum to learn more about Grant’s life and impact on American history. Operated by St. Louis County Parks and Trailnet, Grant’s Trail is an eight-mile, paved bike and footpath adjacent to the National Historic Site. Free interpretive visits to the house are usually offered every hour or half-hour. In addition, special programs are held throughout the year. Click here for a calendar of upcoming events.